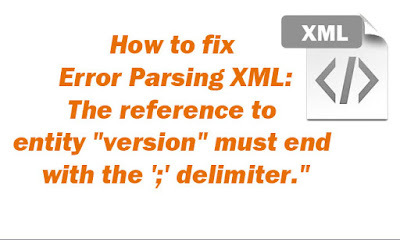 Home add Plugins in Blogger error add facebook plugins fix error parsing xml fix errors how to fix resolve the Error parsing XML xml parsing errors How to fix "Error Parsing XML line ..., column ...The reference to entity "version" must end with the ';' delimiter." 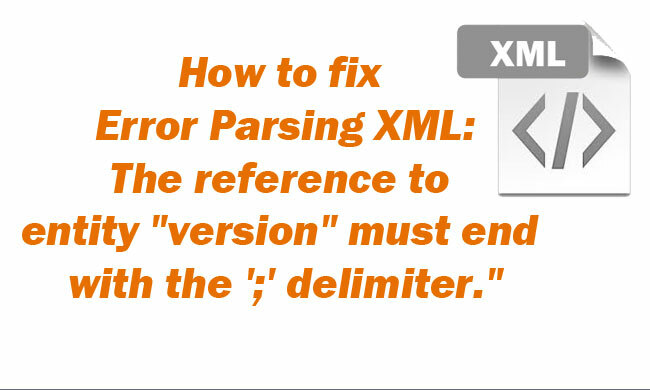 How to fix "Error Parsing XML line ..., column ...The reference to entity "version" must end with the ';' delimiter." Because the Blogger blogs are coded in XHTML and XML is quite strict in following correct syntax formatting than HTML. How to resolve the Error parsing XML? You only need to escape all 5 special characters. Then you should find that error disappears. Hope you have successfully added Plugins in your Blogger. If you have any problems please to leave a comment below.